COURSES: Shows all the courses that the student is enrolled in. TO-DO LIST: Shows all upcoming assignments and due dates. 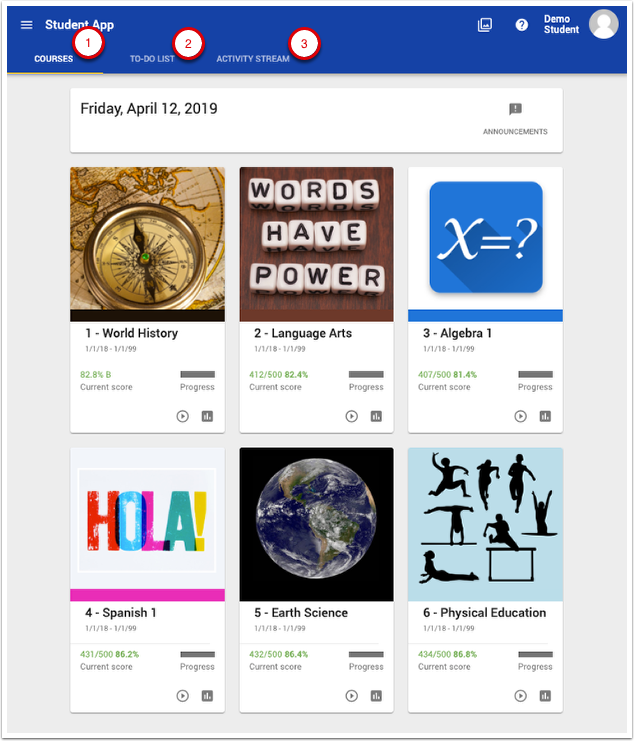 ACTIVITY STREAM: Provides a feed of notifications when assignments are submitted, graded, etc. Echo allows users to change the order of the course cards on the home page. 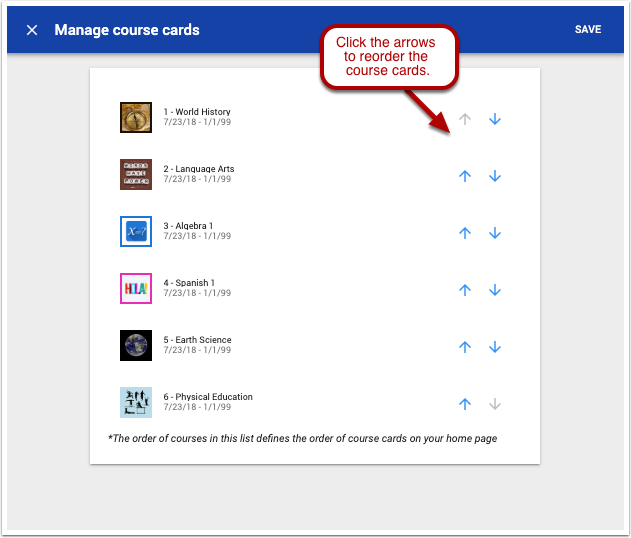 Click on the "Manage Course Cards" icon to open the course card manager window. Then, use the arrows to set the order in which the course cards are displayed.